Phone Npower customer services by calling their freephone contact number 0800 073 3000 to make a query about your gas or electricity bill. Therefore if you believe you have been overcharged for your energy usage you can call this team in order to receive a refund and an amended bill. Similarly if you would like to send an up-to-date meter reading you can do so by calling this helpline, this helps you to avoid estimated energy bills which are usually higher that your actual usage. Another reason why you should call this helpline is to update the information on your account, for example if you have changed your name or you wish to pay your energy bills from a different bank fund. Correspondingly if you are moving home then you must phone Npower prior to your move date in order to either transfer your supply to your new address or to close your account. However please be aware if you are on a fixed-rate tariff there may be a charge for closing your account early. If you are on a prepayment meter you can phone their friendly customer care staff if you have lost your gas card or electricity key, where you can also request an engineer appointment if your meter is not accepting your token after you have topped up. You can call Npower customer services on their freephone contact number 0800 073 3000 between 8am-8pm Monday-Friday and 8am-4pm Saturday so please note that you will be unable to phone them on Sundays. Furthermore reduced opening times and closures may be in place over some UK bank holidays, most notably Christmas Day. Call Npower to renew your energy tariff by calling their freephone number 0800 316 9044, alternatively if lines are busy you can try their local-rate helpline 0330 100 8634. These helplines will connect you to a helpful advisor you will provide you with any updates on the rates you will pay for your gas and electricity needs. If you are unsure of which tariff will work out to be the cheapest for you then you may call them for advice catered to your particular property and household. Calls to the Npower tariff renewals helplines are charged at different rates, their freephone number 0800 316 9044 is free to call from all UK landline and mobile phones. However their local-rate number 0330 100 8634 is charged at the same rate as calls to geographic 01 and 02 numbers, therefore unless you have free inclusive minutes it will cost you a variable per-minute rate as well as a pre-determined connection fee. 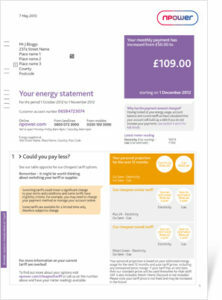 Contact Npower by calling their freephone number 0800 316 9328 to make a complaint about your gas and electricity supply. For example if you are repeatedly cut off from the network for no apparent reason you can call this helpline to voice your dissatisfaction and to get compensation. Similarly if you are overcharged on your energy bills on more than one occasion you should call this team to inform them there is a problem with their system. Moreover if you are receiving final warning notices despite paying your bills previously you should call this helpline immediately as your credit rating might be affected by non-payment. Alternatively if you would prefer to send a letter of complaint to Npower you may use their UK postal address below, which is used only for this purpose for quicker response times. Phone Npower to make a complaint about your boiler and heating system by calling their freephone contact number 0800 197 5442. You should call this helpline if your boiler repeatedly breaks down or your radiators fail in order for an engineer to come out and replace your system. Additionally if your hot water system was installed by their home care team you should phone this number if your plumbing is leaking as you may be able to get replacement parts or compensation if your pipes are still under warranty. Phone Npower for free on their freephone contact number 0800 980 9907 to register your interest in converting to a Smart Meter, which allows you to top up your gas and electricity from the comfort of your own home. If you already have one of these devices in your home you can phone their helpful customer care staff for technical support with checking your usage, adjusting the temperature in your home and when adding paying your bills through the meter. Similarly if you would like details on how you can check your energy usage via the Smart Meter or online you can dial this helpline. Call Npower for free on their freephone contact number 0808 156 0056 to switch from your existing energy supplier in order to receive your gas and electricity via their supply. If you are unsure about whether you would get a better value deal for your normal usage you can call this team to get a quote on how their rates would affect your regular energy bills. Furthermore if you have already applied to join Npower you can phone this number to get an update on when they will start supplying your gas and electricity, thus helping to you submit accurate meter readings in the future. Contact Npower for technical support with your online account by calling their freephone helpline number 0800 316 9331 for free. For example if you have forgotten your username or password you can call their helpful customer care staff who will assist you by resetting these login details. Furthermore if you are having trouble with paying your energy bills by card using their software you can call this helpline to confirm that your payments have gone through. Similarly if you are experiencing difficulties when submitting your meter readings through their website you can phone this helpline for troubleshooting assistance. Contact Npower on their dedicated business phone number 0845 166 3360 (7p/min + access charge) for general enquiries about the electricity supply to your premises, alternatively call this helpline 0845 166 3320 (7p/min + access charge) for support with your gas and heating system. If you would like to get a quote for your company’s energy requirements or to notify Npower that your business is moving location then please examine the helpful summary table below for the contact details you require. Be aware that their 0845 phone numbers are generally charged at a higher rate than calls to local 01 and 02 numbers, plus calls from mobiles will usually cost substantially more. Phone the National Gas Emergency helpline number 0800 111 999 for free to contact Npower if you smell gas in your home or suspect there is a carbon monoxide leak. You should open all windows to allow the gas to dissipate and leave your property as quickly as possible. 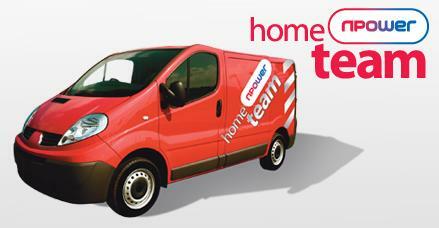 A team of Npower engineers will then attend as quickly as possible to ensure that your house is made safe. This freephone helpline is free to call from all UK landline and mobile phones, lines are open 24 hours a day seven days a week so please do not hesitate in calling this emergency number. Contact Npower to report a power cut by calling the national electricity supplier phone number 105 which will help engineers to identify which substation is responsible for the outage or whether it is a problem that is only affecting your property. You can also call this helpline to find out how long it will take to restore power to your address thus helping you to plan for your day and purchase appropriate tools such as torches. Phone Npower for free on their energy efficiency freephone contact number 0800 0 2222 0 to enquire about ways you can make your home more ecologically friendly, which in turn helps you to reduce the running costs on your home. For example you can phone this team to enquire about roof and loft insulation, as well as smart thermostat controls to only run heating when you need it. You can call this team for impartial advice on energy efficiency between 8am-8pm Monday-Friday and 8am-6pm Saturday. As well as offering a comprehensive range of telephone helplines you can also contact Npower by writing to their email and postal addresses, as well as through their official profiles on popular social media websites. Please visit the Npower “contact us” website and follow the appropriate hyperlinks if you would like to send an email to their customer service team, here you will also find live chat options as well as answers to frequently asked questions (FAQs). If you would prefer to write a letter to Npower you should send it to their customer service postal address in Burton on Trent, however attempting to contact them using this method will almost certainly be slower than calling or emailing their staff. You can also reach Npower customer services by contacting them through their pages on social media websites, where they also advertise their latest tariffs and rates.